"Getting into trouble is easy but getting out of it is all the fun!" The movie starts with Janey Glenn standing in front of her class. She is the new student telling the class about herself. She says she loves to dance. After school Janey is in a hurry to get home to watch her favorite show Dance TV. She made a new friend named Lynne Stone. Lynne also loves to dance. Lynne has Janey come with her to watch DTV. As they are watching the show they see where there is a dance competition to actually be on the show. Janey is hypnotized by this announcement. Lynne decides that they both will audition. Janey fears that her over-protective father won't allow it. Meanwhile, Jeff Malene and best friend Drew see the same announcement. Drew tells Jeff he needs to audition. Jeff is unsure as his father wants him to follow him in his footsteps. He works as a tradesman. The auditions begin and Janey and Jeff make it! Unfortunately for Lynne, a sneaky girl named Natalie Sands pays a guy to ruin her chances. As they are pairing them into partners, Janey and Jeff are paired together. As Janey and Jeff practice they start having feelings for each other. Natalie is trying to get Jeff's attention. He denies her and she isn't happy. She tells her father who happens to be Jeffs boss. An ultimatum is given to Jeffs dad. If Jeff and Janey win, he will lose his job. The DTV competition is a live show. Jeff decides to go and now isn't sure if Janey will show up. He is pacing right up until the time the show is airing. Janey shows up with Lynne with seconds to spare. Janey and Jeff are doing terrific in their dancing. Natalie is worried that she will lose. They announce it's a tie. Janey and Jeff against Natalie and her partner. After the dance off, Janie and Jeff win! Then they announce a new DTV girl, it is Lynne Stone. 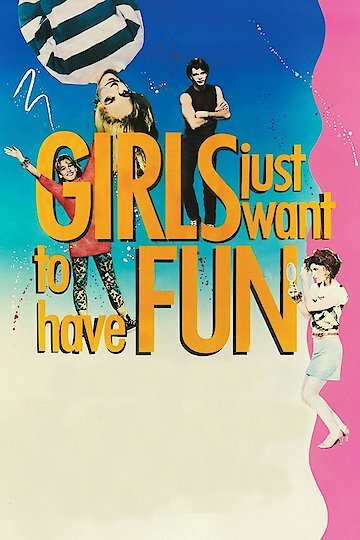 Girls Just Want to Have Fun is currently available to watch and stream, download, buy on demand at Amazon Prime, Hulu, Amazon, Vudu, Google Play, iTunes, YouTube VOD online.